A cooperative that serves four Western states could soon be losing customers amid concerns it’s not moving away from coal quickly enough. Colorado-based Tri-State Generation & Transmission boasts of having the most solar generation of any G&T in the United States. 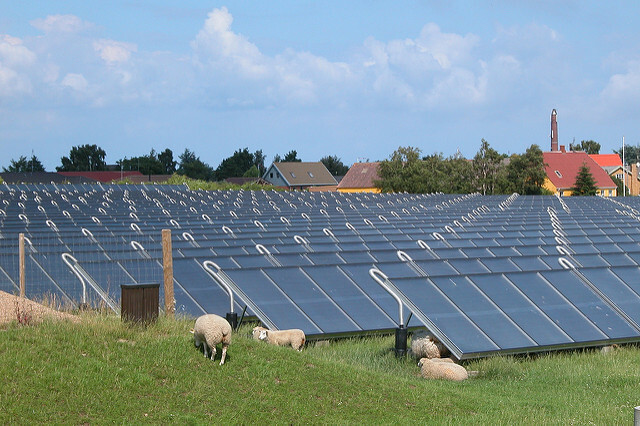 But whether it’s shifting to renewables quickly enough from its coal-heavy portfolio — and flexible enough to accommodate locally-generated electricity — has become a central issue with several of the 43 member cooperatives . . . Tri-State’s 43 member cooperatives collectively deliver electricity to [615,000 metered members/customers throughout] 200,000 square miles in New Mexico, Colorado, Nebraska and Wyoming. Click here to read more. Danish ambassador looks to grow trade in Nebraska, but Trump’s approach gives him pause, Omaha World-Herald. Wind energy, wastewater management and life sciences are all areas where Danish businesses look to grow in the United States, and that could mean more investment in Nebraska. Going for Gold: Annual Rotary fundraiser will benefit NRD Greenhouse project, Scottsbluff Star Herald. Proceeds from Rotary Gold this year will benefit the North Platte Natural Resources District’s greenhouse project. The NRD provides a variety of natural resource educational opportunities. The greenhouse project will be built on land south of the main NRD building and will have an outdoor educational facility that houses several other projects, including a solar-powered, geothermal-heated greenhouse; 70 plots of native and introduced grasses; a learning/classroom area; tree identification plantings; and a perimeter of pollinators with bee hives. PACE programs like HERO empower homeowners to make energy and efficiency improvements to their homes and pay for them over time at a competitive, fixed interest rate through an additional, voluntary assessment on their property taxes . . . HERO has financed the installation of more PV capacity than exists in the following 14 states, combined (as reported by SEIA as of March 2018): Alaska, Arkansas, Kansas, Kentucky, Maine, Montana, Nebraska, Oklahoma, both Dakotas, Rhode Island, West Virginia and Wyoming. Statement: Renewables Leader Says New Report On Renewables Growth Reflects Market Reality, PR Newswire. DALLAS, April 6, 2018 /PRNewswire/ — A just-released report by the International Renewable Energy Agency (Irena) says global renewable generation capacity swelled last year by 167 gigawatts (GW) to reach 2,179 GW. News reports have called this an “unprecedented expansion,” but Tri Global Energy says while the news is exciting, it isn’t really that surprising. This entry was posted in Nebraska / Midwest News and tagged American Wind Energy Association, Electric Vehicles, EV World, microgrids, Nebraska energy cooperatives, Nebraskans for Solar NewsBlog, PACE financing, Solar Energy Industries Association, Tri-State Generation and Transmission, Tri-State's 43 member cooperatives on April 6, 2018 by Helen Deffenbacher. You may have noticed that things have been a tad static here on EV World over the summer. There’s a good reason. 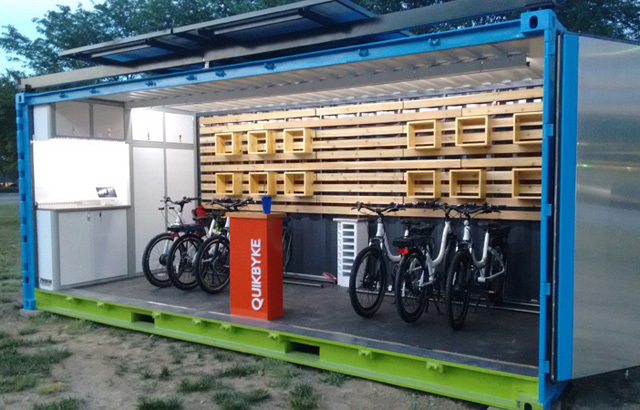 We’ve been focusing much of our energy, time and attention on our electric bicycle rental startup Quikbyke. Yesterday, a tilt-bed car hauler arrived at the corner of 10th & Dodge and we loaded the repurposed 20 ft shipping container on it in preparation for moving it this Fall to the Florida Gulf Coast. Now that we have our first summer of operation under our belt, so to speak, I thought I’d share some of our experiences and analysis of the project, on which we now have a United States patent pending (15/260,232). But first a bit of background. Click to continue reading. This entry was posted in Nebraska / Midwest News, NewsBlog and tagged Bill Moore, EV World, Quikbyke on October 5, 2016 by Helen Deffenbacher.